The Defense Advanced Research Projects Agency has announced that it is soliciting proposals for research into whether living "predatory" bacteria could be used to treat humans or animals infected with biological agents such as plague, Q fever or tularemia. This approach would represent a significant departure from conventional antibacterial therapies that rely on small molecule antibiotics. While antibiotics have been remarkably effective in the past, their widespread use has led to the emergence of antibiotic-resistant bacterial infections that are difficult or impossible to treat. 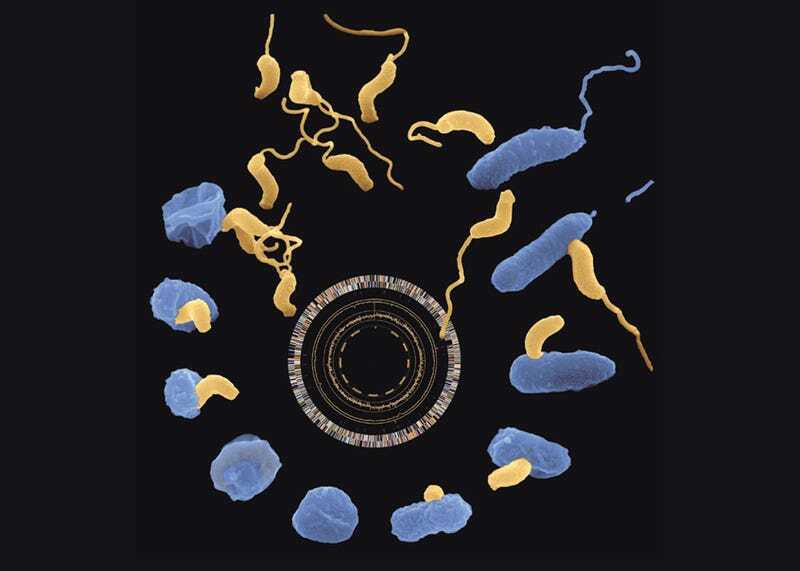 In vitro studies have shown that predators such as Bdellovibrio bacteriovorus and Micavibrio aeruginosavorus can prey upon more than one hundred different human pathogens and will also prey on multi-drug resistant bacteria. Are predators toxic to recipient (host) organisms? Against what pathogens (prey) are predators effective? Can pathogens develop resistance to predation? You can read a complete description of the DARPA project, "Pathogen Predators" at the Federal Business Opportunities website.